The land of Tuscany provides the main ingredients in the children’s line from Biofficina Toscana. Simple, natural ingredients like organic olive oil with its many dermatological and cosmetic properties and soothing organic extracts of Mediterranean herbs and plants are combined with innovative formulas, allergen-free with special active ingredients, specifically designed for children’s delicate skin.Nature, science, and safety are the keystones of these eco-organic cosmetic products for kids. 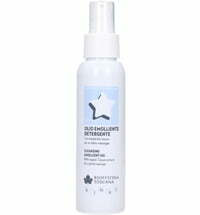 Like all Biofficina Toscana products, they are dermatologically tested, nickel tested, and ICEA and ICEA Lav certified. From nature, with care and respect for children’s delicate skin and the fragility of the ecosystem in which they will live... to protect them and the environment!